This tabletop humidor has quite a decent capacity and 4 drawers for storing cigars of different brands. The door of the humidor is large, providing easy access to cigars. Some customers would prefer if GERMANUS humidor had more dividers. Metal parts on the box and the lid add to the style of the humidor, making it truly unique. Children will never be able to pin your cigars owing to the lock on it. The digital hygrometer requires periodical battery replacement. Due to fantastic design, this compact wooden cigar humidor can become a decoration element on a desk, in the office, etc. A great gift for any cigar lover! HUMIDORO humidor this small size can be placed virtually on any flat surface in a room. This unit has no divider. 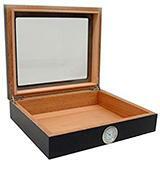 This compact and stylish humidor will suit best for amateur aficionados who've never had/used humidors before. 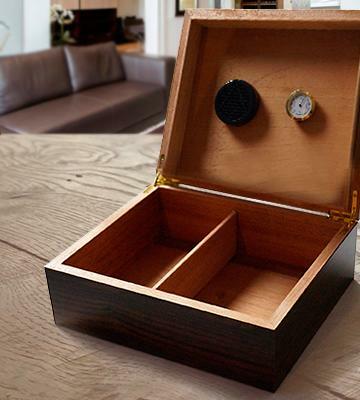 This humidor from GERMANUS has a fairly minimalistic design that fits any interior. Spanish cedar this unit is made of ensures that it's very durable too. You will need to open the lid each time when checking the humidity level. 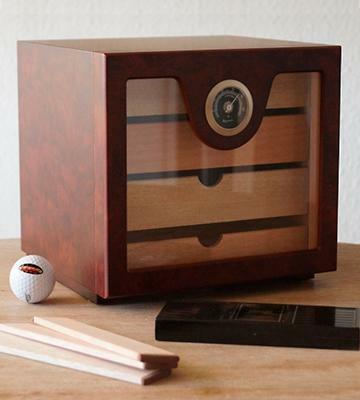 This humidor has a classic design and great quality. 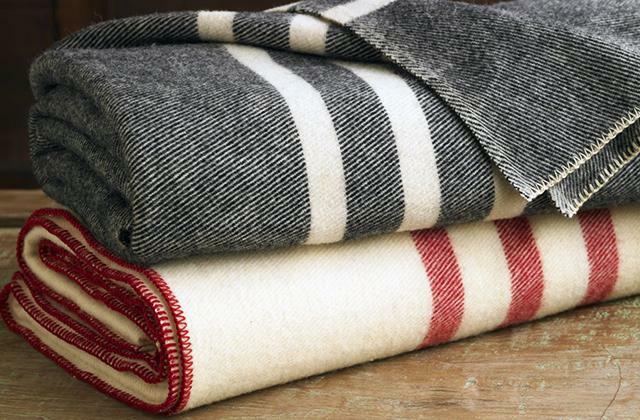 It will certainly cope with its main function - storing your fragrant collection of cigars. 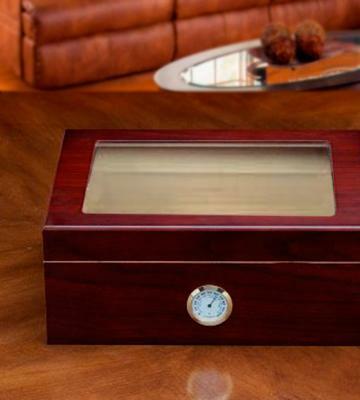 This elegant humidor goes well together with any furniture. 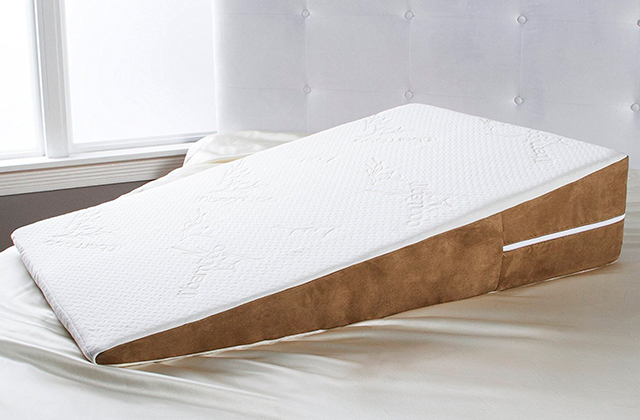 The adjustable divider can be repositioned inside. The glass top may be broken if maintained carelessly. Angelo humidor will certainly be appreciated by all cigar connoisseurs. 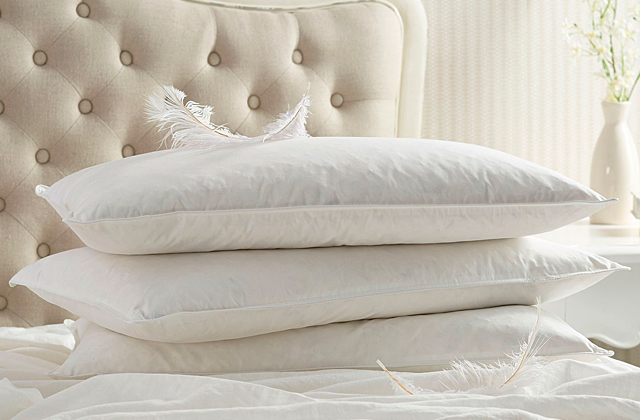 Exquisite style, top quality, and reasonable price. Couldn't ask for more! If you own a large collection of fine cigars, this humidor box will help you store your full-flavoured tobacco bundles in the most favourable environment. Despite being relatively compact, this humidor has a fairly good capacity - up to 125 Corona cigars. Of course, the capacity will be lower if you stuff the unit with bigger cigars. The GERMANUS humidor is a tabletop model, which means you can place it on a table, on a bureau, in some special niche or even on the floor. The door is just like on a fridge - it opens easily and has a large glass window. There is a large analogue hygrometer on the door that shows you the level of humidity inside the humidor. Moreover, the hygrometer adds a touch of luxury to the unit! Actually, the exterior finish of any humidor is a matter of style and your personal preferences; the only important issue is that the body of the unit mustn't let the air in. The interior finish is really important! As usual, the best humidors (and the GERMANUS Cube Dravus is one of them) have a Spanish cedar interior - this type of wood emits no odours and, thus, your cigars preserve their natural fragrance. 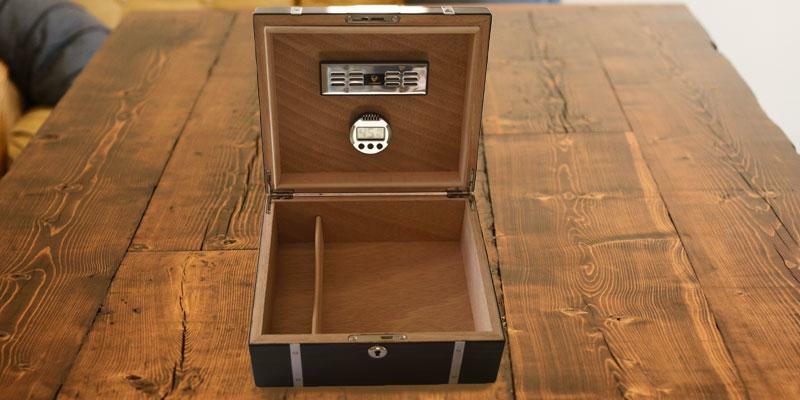 We would like to draw your attention to the convenience of this humidor - it has 4 drawers for storing a variety of cigar brands and there are also 3 dividers (you can buy more separately if you find it reasonable). As you can see, this is a truly stylish humidor allowing you to store your favourite cigars for a long time and enjoy smoking them whenever you wish. If you believe the analogue hygrometer isn't good enough, you can use an additional digital hygrometer. This is one of the bestselling humidors produced by GERMANUS and it's certainly worth your attention! The unit is a tabletop humidor that will be a nice storage accessory for your favourite fragrant cigars. The first thing that would surely attract your attention is stylish metal parts on top of the wooden box; they make it look really stylish and single it out from a multitude of similar humidors. 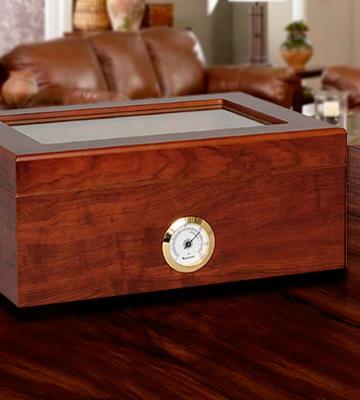 No doubt, this GERMANUS humidor will perfectly fit the interior of your living room or office. That's why lots of people give this humidor as a gift to their friends or colleagues. 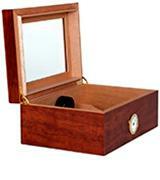 Made from genuine Spanish cedar, the humidor has a pleasant characteristic odour. Owing to the interior material, it also keeps moisture well inside, ensuring that the storage conditions for cigars are favourable. Thus, your cigars preserve their natural aroma in a long while. We would also like to draw your attention to the unit's construction: thanks to the built-in magnets the lid sits tight on the box and when the lid's being closed, you can clearly hear the sound of the air coming out of the box. To prevent your kids from pinning your cigars, the humidor's got a lock. Keep it locked if you don't want your children to get addicted to smoking at an early age. The GERMANUS humidor capacity is average and makes up to 50 Corona cigars. Today, there is a multitude of humidors available on the market. 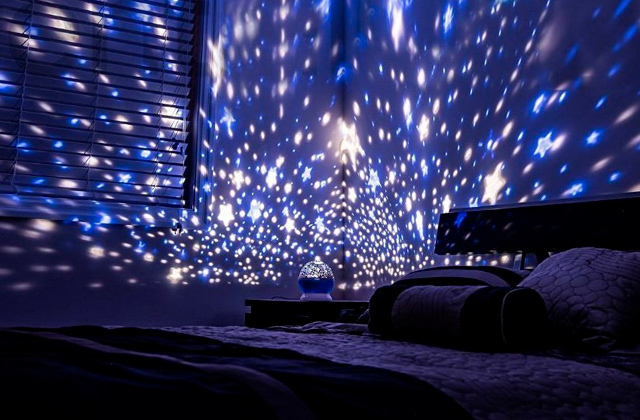 For some people, this accessory is more like a part of interior and, therefore, is meant to highlight the owner's status. For others, a humidor is nothing but a storage accessory kept in some closet or drawer. However, all aficionados use humidors to store their precious cigars under favourable conditions. This HUMIDORO model is quite compact and accommodates up tp 20 cigars. Just like the best models, this humidor is made from Spanish cedar - the most widespread type of wood used for producing humidors. Thus, you can be sure your cigars won't absorb any foreign odours. The lid has a glass window for you to have a clear view of what there's left inside the box. Of course, this bestselling humidifier comes with a classy analogue hygrometer and a humidifier, so it's possible to start using the product right out-of-the-box. Some aficionados who've never used humidors before, choose this model as their very first accessory of this kind. Of course, you need a good cigar cutter and a special humidification solution, so don't forget to buy them too! As you can see, it's a truly wallet-friendly humidor that will please its owner. If you adore smoking cigars, you know well that buying them isn't enough. Cigars require special storage conditions since they shouldn't get too dry. That's why true cigar aficionados all over the world use humidors that help store cigars in a proper way and preserve their natural flavour. This GERMANUS model is one of classic humidors that looks like a big jewellery box. 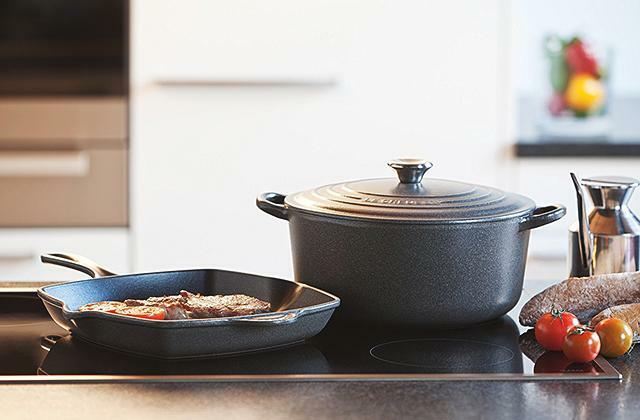 It's got an all-wooden lid that doesn't let the air leak and ensures that there's always the right moisture content inside the box. Besides, since there's no glass window, there's nothing to break in case the unit's ever dropped to the ground. As for material, the humidor is made from 100% Spanish cedar which is commonly considered to be the best wood to use in humidors manufacturing. Needless to say, this humidor maintains the optimal moisture level inside and your cigars there will never be overdried. The GERMANUS humidor has a medium capacity - up to 50 Corona cigars. Of course, the capacity may vary if you smoke cigars of a different brand. It's also got a divider inside, allowing you to keep different cigars in each compartment. 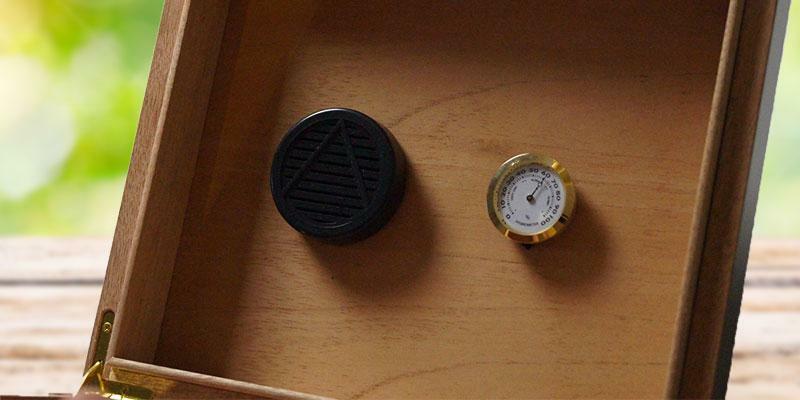 As the majority of other units, the humidor has an analogue hygrometer and a humidifier inside. To check the level of humidity, just open the lid and look at the hygrometer's scale. Thus, you can relish smoking your favourite cigars any time you wish without paying a hundred pounds for an overly expensive humidor. Oh, the last point - don't forget to get a cigar cutter!. If you've tried smoking cigars and liked it, it's high to buy a special box for keeping them or, in other words, a humidor. 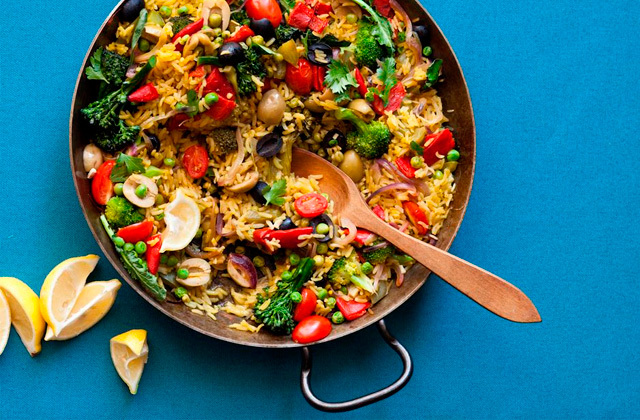 Do you want to save money and do without it? Think again! You are unlikely to smoke cigar every day and, therefore, you will need to store them somehow. Yes, the air in your house isn't suitable for cigars - they will get too dry and lose their natural odour. Smoking a too dry cigar isn't a good idea and experienced aficionados know why. Thus, buying this Angelo humidor makes sense. It isn't expensive and amateur smokers will certainly like it. 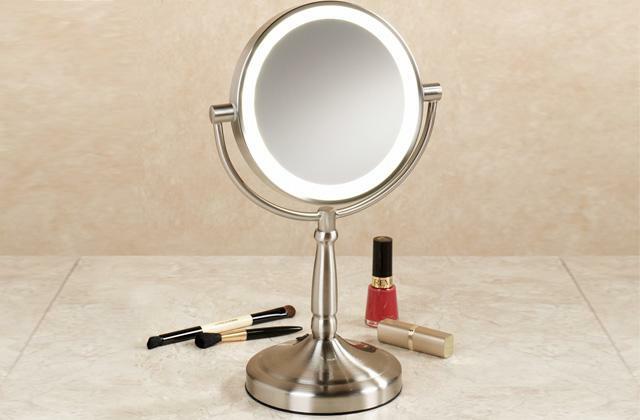 The model has a top lid with a large glass window allowing you to enjoy the view of your collection. The box is made of genuine Spanish cedar - the best material that doesn't share its own odour with cigars. 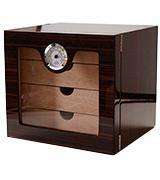 We would like to draw your attention to an adjustable divider this humidor has - you can place it the way you need. Moreover, if you smoke some specific cigar brand, you can easily remove the divider at all. The model comes with a classy analogue hygrometer and a humidifier. 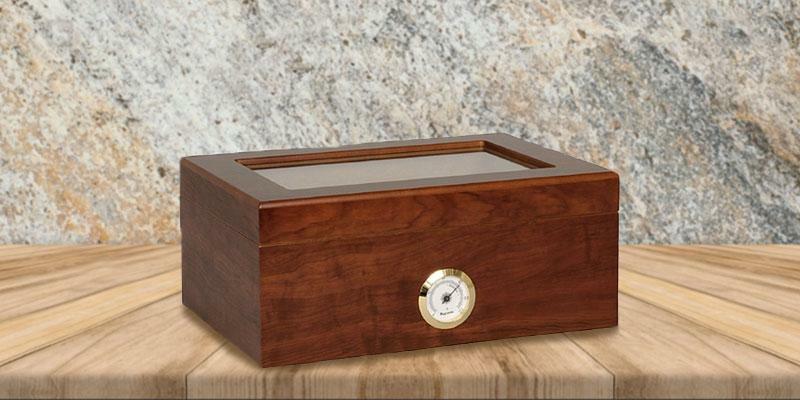 The hygrometer is placed outside the box so you can cast a glance at the humidor and find out the humidity level. 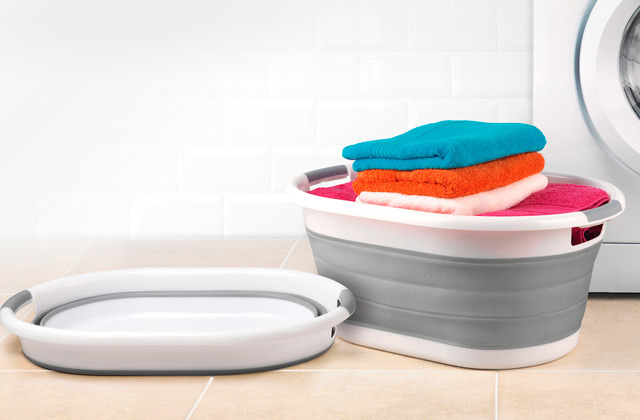 The humidifier can be filled with distilled water or with a special humidification solution (sold separately) that protects from mould. 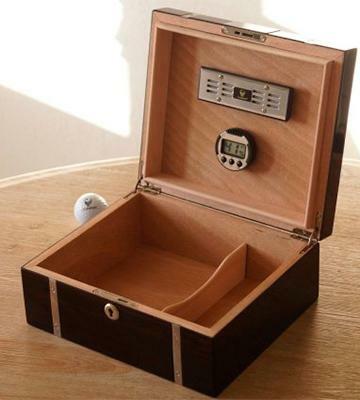 As for style, this humidor suits nearly any kind of interior. Summing up, the Angelo humidor will surely be a worthy and stylish investment! A humidor will become a precious accessory for any cigar gourmet. It’s a stylishly designed box or cassette with a humidifier and hygrometer inside to keep tobacco safe against the mold and drying. Knowing the moisture level inside the box, you’ll face no risk of cigar deterioration and always have quality tobacco to enjoy. Humidors quite differ from one another. 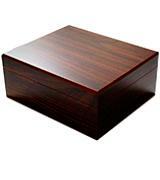 Some humidor boxes are quite big and, thus, meant to be placed on a polished table or desk. 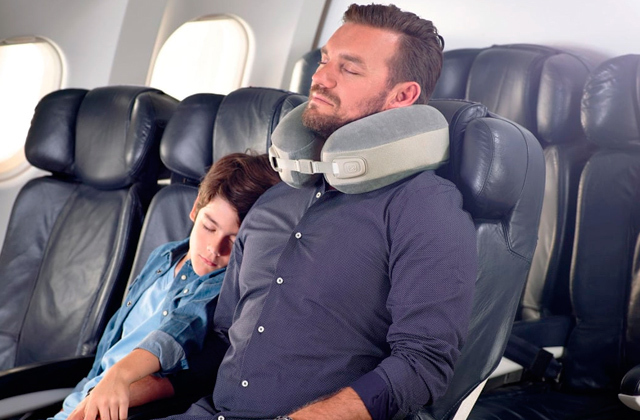 Others are more lightweight and portable for use on trips and journeys. Some humidors are rather tiny in size and, hence, offer small capacity while others may become a perfect store for a big collection of cigars and decorate your parlour with elaborate design and style. 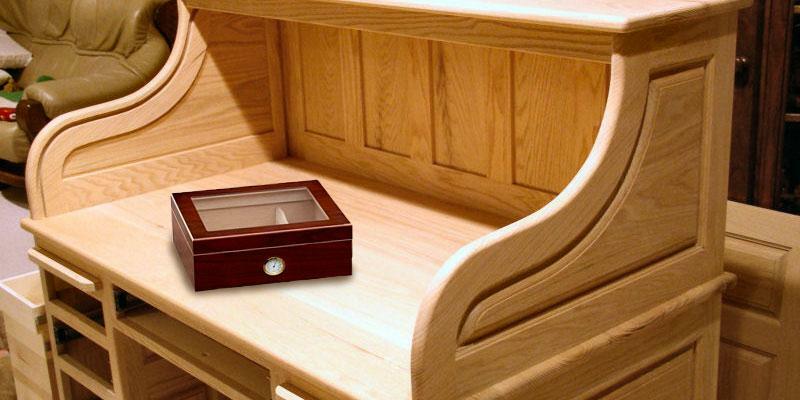 The popular materials used in the production of humidors are natural wood with a cedar interior finish and metal with foam inside (as a travel option). We also suggest considering one of electric can openers. The first and foremost issue to consider is the Size and Capacity of a box. How many cigars do you need to keep at home? Let’s say it’s 30, so when estimating the capacity of different humidors, make sure that the chosen model is capable of accommodating these 30 cigars and that it also gives you some extra room for adding more. Depending on your collection of cigars and need for smoking, decide on a size. 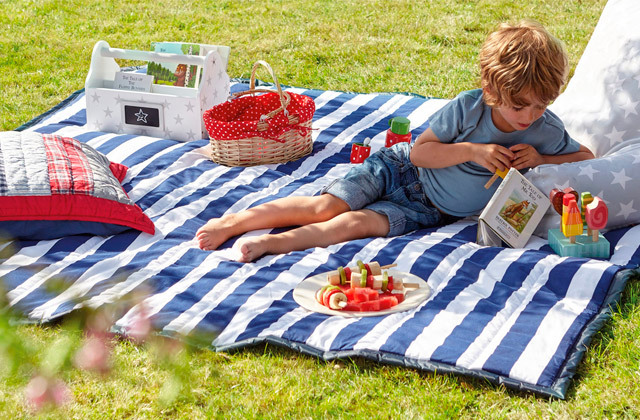 The models greatly vary in size and give you a variety of choices. As a first-time buyer, you may easily do with a small and portable humidor. A gourmet with a rich collection of tobacco is more likely to prefer a cabinet or a tabletop humidor for not just storing all his (or her) cigars but also highlighting the social status and prosperity. This is why the Design of any humidor box matters. It goes without saying that usability of a humidor should be considered in the first place. For some customers, a humidor is much more than a simple box with cigars! For this reason, manufacturers put a lot of effort into producing not only practical but also beautiful humidors. The other thing you’d definitely need to consider is the Material a humidor is made of. 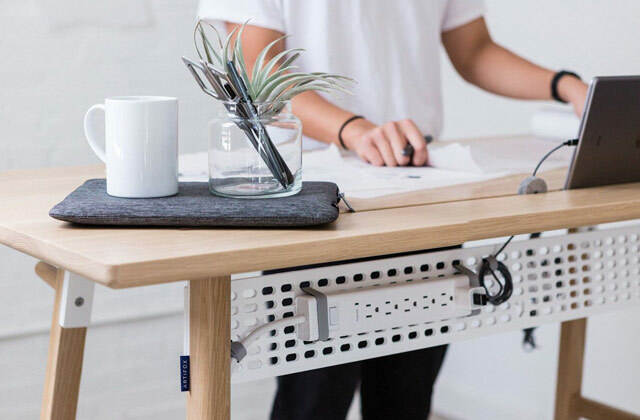 Since the beginning of the production of these accessories, they have been made of natural wood, however, the trend to produce more portable units has started an epoch of compact size metal cases. With such small cases, it’s become possible to have your favourite sorts of cigars always at hand no matter where you go. 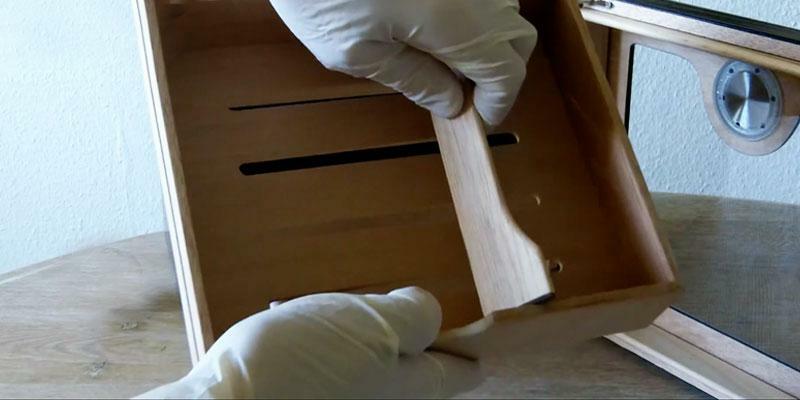 Depending on the price, the Interior Finish of humidors can be made either of Spanish cedar wood or simple foam. Both are used to absorb and retain moisture inside a humidor. 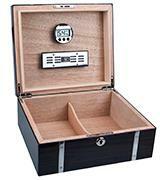 Not all but most humidors are equipped with hygrometers that allow you to check the moisture level in the box and ensure appropriate storage of cigars. Consider whether a humidor has any dividers - they will separate cigars of one brand from those of another. 1. J.A. Shapira How to Buy a Humidor for Cigars Online, Gentleman's Gazette. May 2, 2016. 2. Dr. Mitch Fadem Buying a New Cigar Humidor Made Easy, About. 3. Steven John How To Prepare a Humidor, The Manual. February 18, 2016. 4. Humidor, Wikipedia. May 13, 2016. 5. How to Season a Humidor, wikiHow.